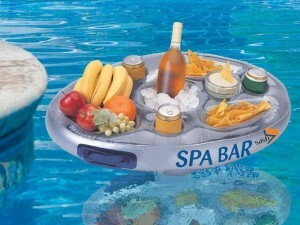 Floating pool bar – it’s convenient, and most importantly, a very practical invention for a comfortable stay on a hot summer day. 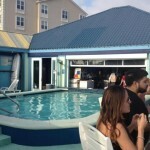 Today, the idea of floating bars for pools is embodied by many manufacturers in different ways: on the market offers a wide range of this equipment, made of different materials, different shapes, colors and capacity. 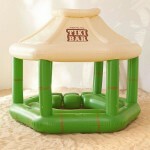 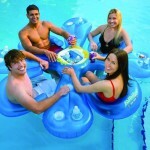 Inflatable pool bar is made of reinforced vinyl (with sturdy handles) – comfortable and roomy storage for beverages and ice. 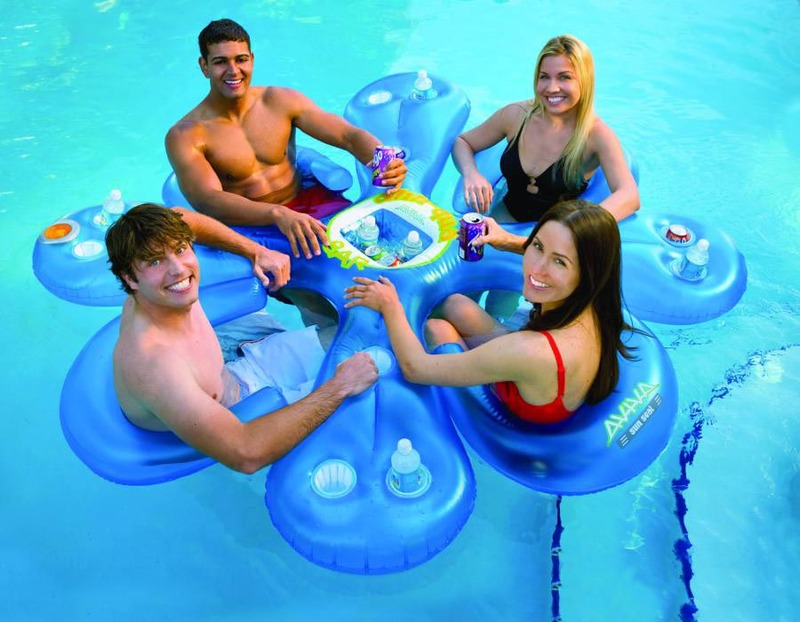 Rubber water base holds great coolness of the water, which, of course, only a positive effects on the cooling of warm drinks. 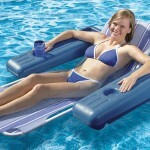 On the circumference of the rubber base are located convenient recesses for cups. 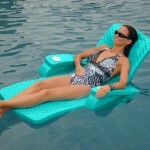 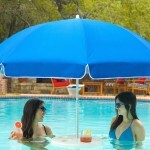 Aquapub floating pool barwith seats – the perfect solution during scorching day. 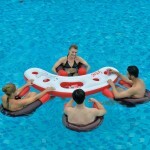 You can enjoy partying or just gather friends and family in your swimming basin, completed without a refreshing drink. 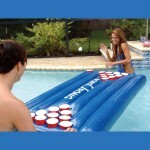 Floating bars for pools with tables – it is another great finding to lovers of partying in the basin. 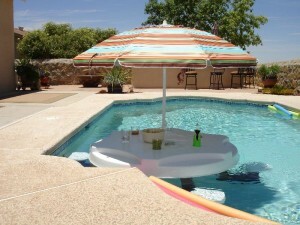 The floating tables made with maximum comfort for you and your guests: can be to 6 attached seats, cup holders, ice containers and food, and a removable hood in the event of the scorching sun (also the umbrella allows to add cool during relaxing). 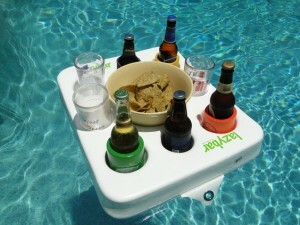 If necessary, a table can be used on land. 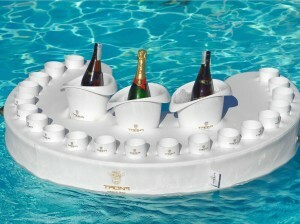 The idea of a swimming table deserves attention when you are preparing and organizing your private holiday. 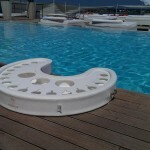 This devise is very useful for private basins and hotels, camp sites and public swimming pools in resorts. 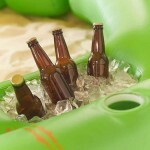 A floating fridge saves the contents of the desired temperature. 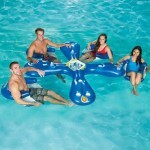 An interesting idea is to light and the LEDs from the batteries, at what both the outer surface and underwater. 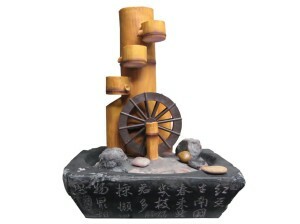 In the darkness of the night, shimmering glow different, water bar will attract the attention of all travelers.